Richfields China manufacturing facility provides assembly services of plastic and metal mechanical assemblies for its finished plastic products. Richfields can also source other mechanical and metal components to provide finished mechanical assembly services for your plastic injection molded parts. We currently provide assembly services for plastic and metal mechanical assemblies in the industrial lighting, recreation, consumer retail, pet products and hi-tech electronics fields. 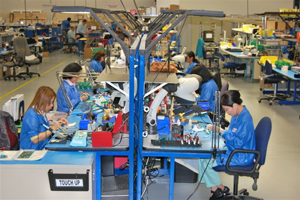 Richfields also provides assembly services of basic electrical circuit boards into its products. Richfields is consistently expanding its capabilities and services. Working with our customers on new product applications and emerging technologies, Richfields assembly services are able to keep our business portfolio growing and welcome any challenge you may have.